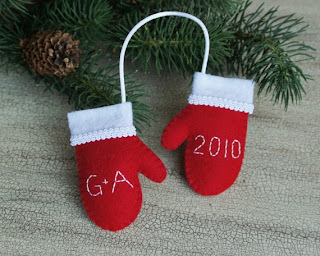 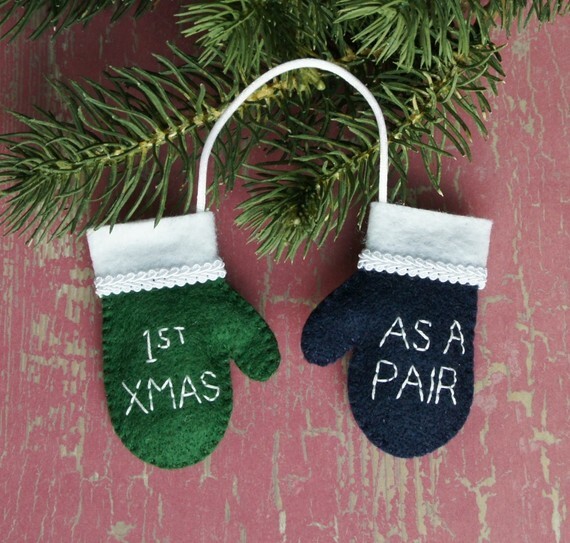 With a little felt, simple stitches, string and stuffing you can make these adorable mittens. 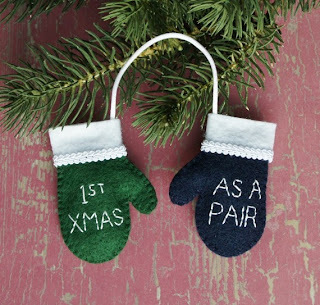 These would make a great handmade gift as well (you can adjust the saying to whatever is applicable for the person you're gifting). If you're not feeling crafty, you can also buy them for $25 at Red Raven Nest on Etsy.